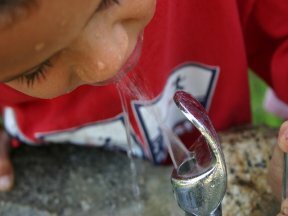 Governor Bruce Rauner joined by Reverend Jesse Jackson, State Senator Steans and state agency directors Monday signed Senate Bill 550, legislation to protect Illinois children from possible exposure to lead in drinking water. “Today is about our future, about making sure our students are not exposed to lead poisoning,” said Governor Rauner. “This shows what is possible when we work together. 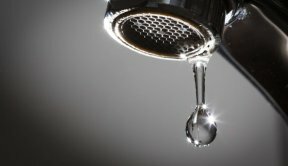 It is a step in protecting our children from the devastating effects of lead exposure.” Lead in the paint and in the pipes threatens the health and the futures of far too many children,” Rev. Jackson said. “This is a life-saving bill. I applaud Governor Rauner for signing it.” SB 550 will ensure proper health protections are in place to protect Illinois’ youngest residents. It provides the requirement for schools and daycares to sample for lead contamination from sources of potable water in school buildings. The oldest school buildings, those constructed before January 1, 1987, must complete water testing by the end of 2017. Schools constructed between January 2, 1987 and January 1, 2000 must complete testing by the end of 2018. Daycares constructed on or before January 1, 2000 and serve children under the age of 6 will also be required to conduct testing. Further, parents and guardians of students must be notified of elevated lead results.